Ah, a warthog. 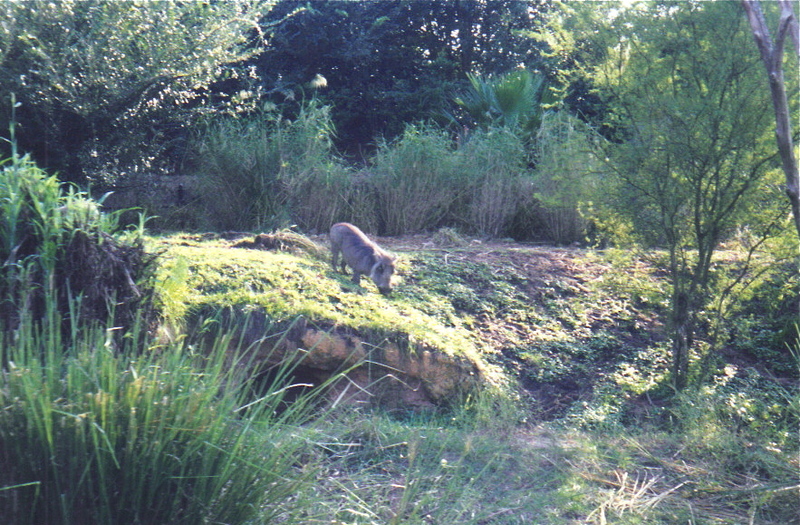 This must be an early look at the Kilimanjaro Safari. Well, you would be wrong. This is the Pangani Forest Trail. Back in 1998, you were able to find warthogs in the meerkat exhibits. Seem familiar? Well, imagineers wanted to replicate the Timon Pumbaa relationship for Animal Kingdom guests.